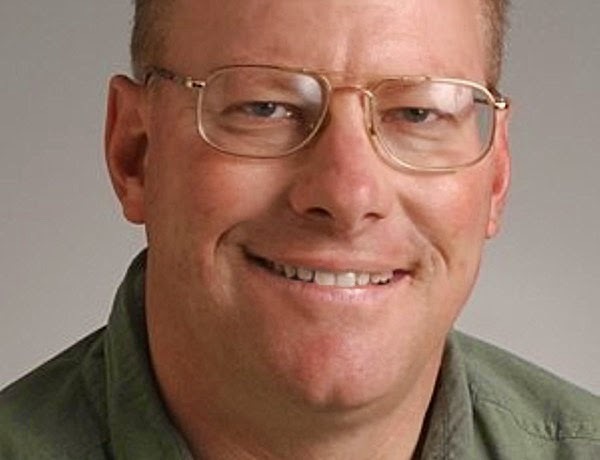 Experienced birders will often use a bird’s calls or songs as a means of identification. 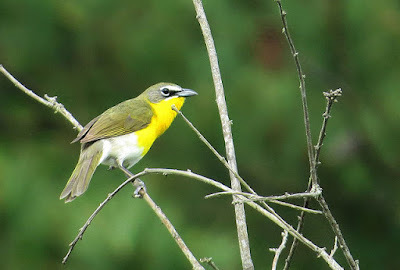 Most everyone knows that each species has its own unique song; but birds’ calls consisting of single note chips, whistles, tweets, tseeps, and other sounds are also unique and can be used to identify the bird. It is helpful to know the sounds a particular bird makes. It eliminates the need to see the bird, sometimes a tough task, unless you really want to get a look at it. It also gives the bird’s location away, which is very helpful if you want to see it. You can hear them too. If you are an early riser like me, step outside before dawn while it is still dark and listen for a few minutes. If it is a big migration night you may be amazed at how many travelling birds you will hear. 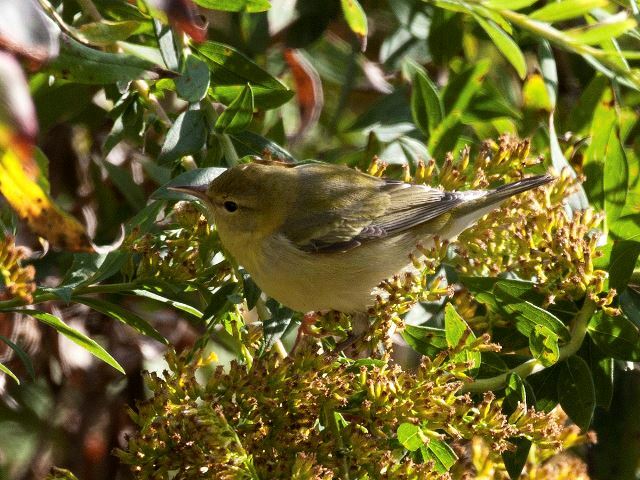 You might hear warblers, sparrows, tanagers, orioles and other migrants. 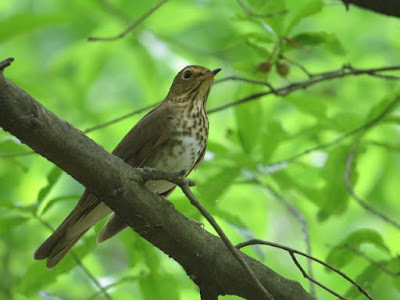 In some ways listening to nocturnal flight calls can give a better picture of how many birds are passing through and may even help with population estimates. Migrating birds seem to constantly sound off at night. Even simple recording devices can pick up the sounds. The recordings can then be analyzed at leisure at a later date to determine which conditions are optimum for movement, which species were moving when, or to gauge the presence of rarer species. Information gathered is often more accurate than visual information gathered during the daytime. Everyone who goes to the beach has noticd the tiny sandpipers that run along the beach, chasing the waves as they wash out, then retreating as they crash back in to shore. 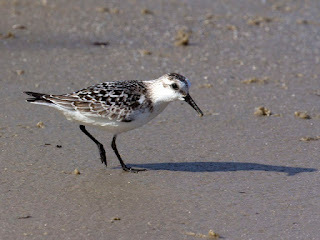 Those very common birds are sanderlings. What an odd sight last week when four sanderlings were found on a mudflat on the Catawba river near Belmont, for only the second local record in over twenty-five years. Seeing birds so far out of their preferred or normal habitat can make even serious, experienced birders do a double take. Birders ticking off the sanderlings for their county or year lists were also treated to another extremely rare local shorebird, a buff-breasted sandpiper. This species typically is found in short-grass habitats, but there one was on a mudflat with a flock of killdeer. It is going to be very interesting to see how many species of shorebirds end up getting tallied in Mecklenburg in 2015. there are several species whose occurrence here is a real possibility. Even non-birders have noticed sanderlings rapidly scampering along the ocean's edge, but their occurrence inland is much rarer. 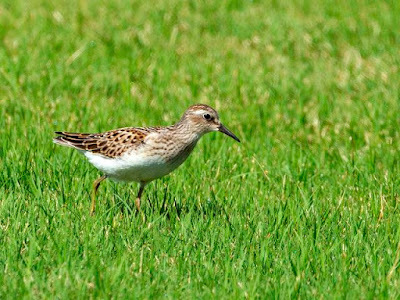 The buff-breasted sandpiper is more commonly found in short grass areas, as pictured below. Ezell Farm in Mint Hill delivered some nice, locally uncommon birds after the passage of the cold front last weekend. I was excited to be greeted by a beautiful adult red-headed woodpecker; the first time I have seen that species there. The adults are striking, as pictured below. The species is an uncommon nester in Mecklenburg County, preferring open country with scattered large trees. Migrants enter the area from the north in fall and winter, increasing the species' numbers. Family groups of blue grosbeaks and indigo buntings flushed out of the hedgerows. They might have been migrants but could be local breeders that haven’t departed yet. By now, the brilliant plumage of the adult males has given way to the drab brown characteristic of females and immatures. A few blue feathers may persist into late fall. The cold front that came through last weekend was the stuff that birders live for. Fall fronts such as that one promise to bring loads of migrants on the winds that follow them. Some fantastic birds were found in the area on Sunday but I was out of town. The next day, Monday the 14th, was the day I spent in the field hoping to find my share of good migrants. One stop was a section of Mallard Creek Greenway in the University Research Park. The first bird I got a good look at was a nice yellow-breasted chat that sat up nicely in a most un-chat like way. Chats can be really tough to see sometimes. The migrant list rounded out with black and white warbler, magnolia warbler, Tennessee warbler, and American redstarts. An adult male American goldfinch feeding three begging fledged juveniles was a highlight. 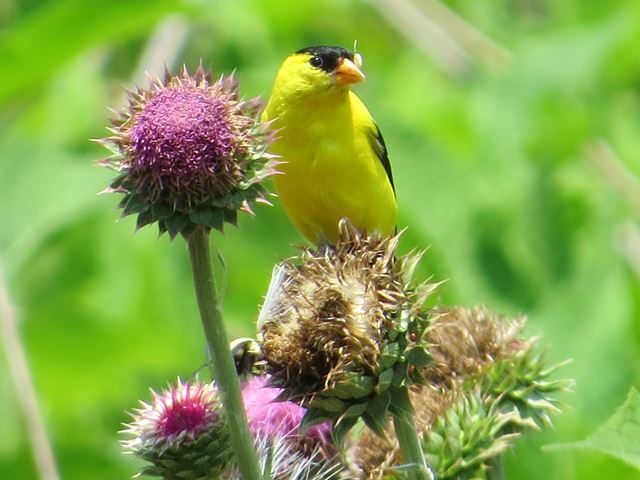 Goldfinches are very late nesters. 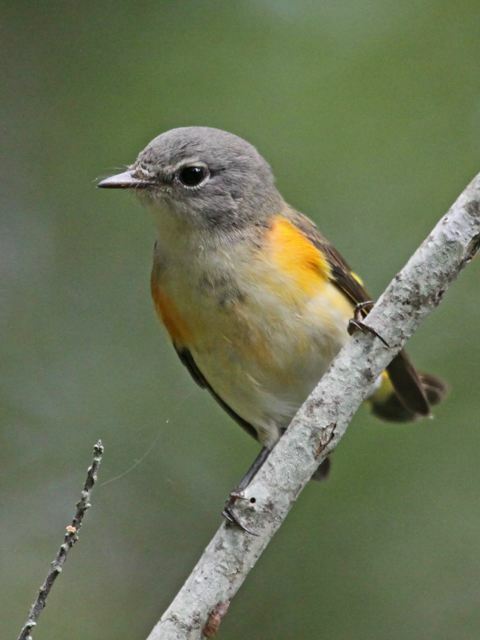 American redstarts are one of the most common migrant warblers that pass thru our area in spring and fall. Immature birds like the one pictured below outnumber adults. 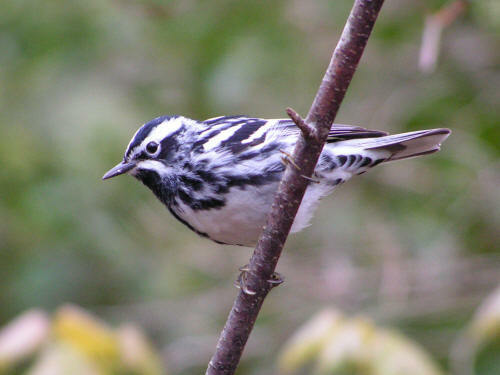 Black and White warblers are common too. 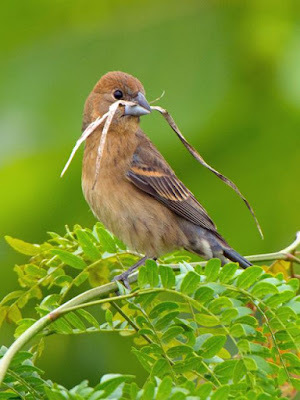 They forage along the trunks and limbs of trees gleaning insects from bark crevices; unlike most other insectivores that glean from the foliage. 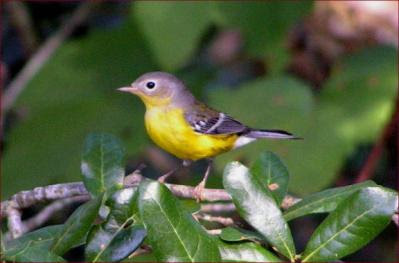 Tennessee warblers are relatively drab compared to most other warblers, even in fall. This species is far more numerous here in the fall than in the spring, when they are very rare. I was lucky to find three semipalmated plovers this week along the Catawba River near Belmont. 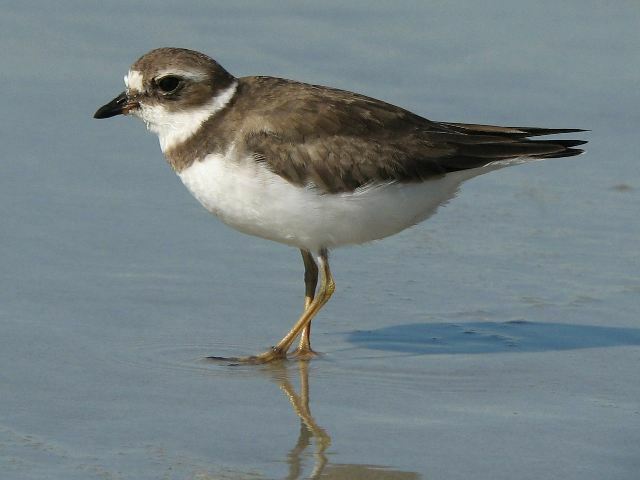 Plovers are small to mid-sized shorebirds. The semipalmated is one of the smaller species. The birds i encountered were immatures, much like the bird pictured below. In breeding plumage, the adults are more boldly marked with a solid black neckband. They superficially resemble the killdeer, another larger plover that is common in the Piedmont pretty much year-round. Adult spring semipalmated plovers are shown immediately below. Killdeer, shown below, are about twice as large. they have two bold neckbands and are extremely noisy most of the time, especially when startled or when birders get too close. The seem to alert other birds in the area to potential danger by their racket. I had a good day for some local shorebirding yesterday. 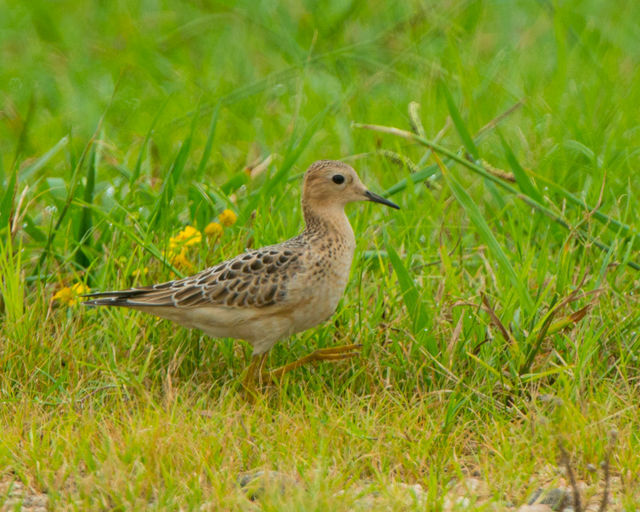 Shorebirds can be extremely confusing and hard to identify for even experienced birders. there is a suite of species collectively known as "peeps" that look alike and most are similar in size. The identification can be largely dependent on structural differences more than plumage. 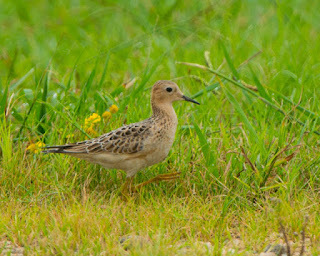 I was able to find a couple of pectoral sandpipers and some least sandpipers along the Catawba River. In the photos below you can see the similarities in plumage between the two species. Both species have streaked necks down to the "pectorals" on the breast. Both have yellow legs. the bills are long and slightly down-drooped. 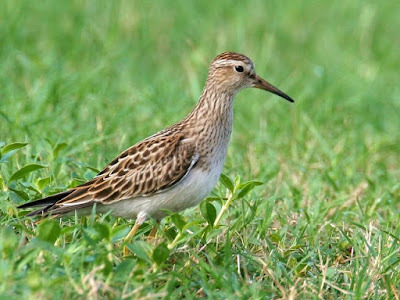 But pectoral sandpipers are 50% larger than the least sandpipers, making for a pretty easy identification, even at some distance. 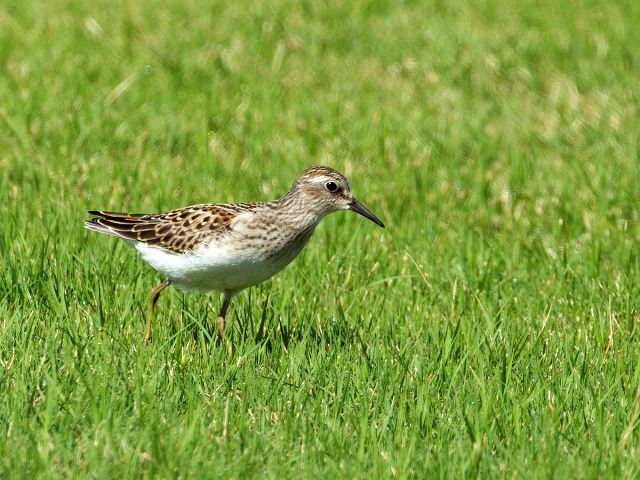 The least sandpiper is quite common and is the most expeted "peep" here in Mecklenburg County. Indeed some spend the winter at a particular site near Pineville. the species has been recorded every month of the year in the county. Only two other shorebirds, the killdeer and American woodcock, can make that claim. I have been noticing an uptick in the numbers of belted kingfishers lately. 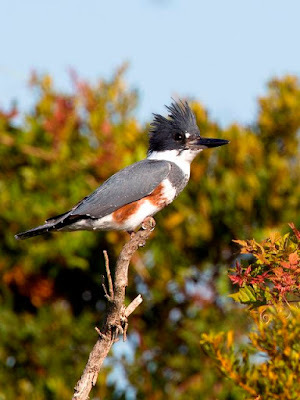 It seems every spot along the Catawba River, every farm pond, or retention pond has a kingfisher now. Often there are two birds quarreling back and forth with their raucous rattling. Kingfishers are with us year-round but I suspect the breeding birds move out and northern birds take their places for the winter months. The turnover is taking place right now. The bird in the photo above is a female, easily recognized by the rust-colored markings on the belly and flanks. 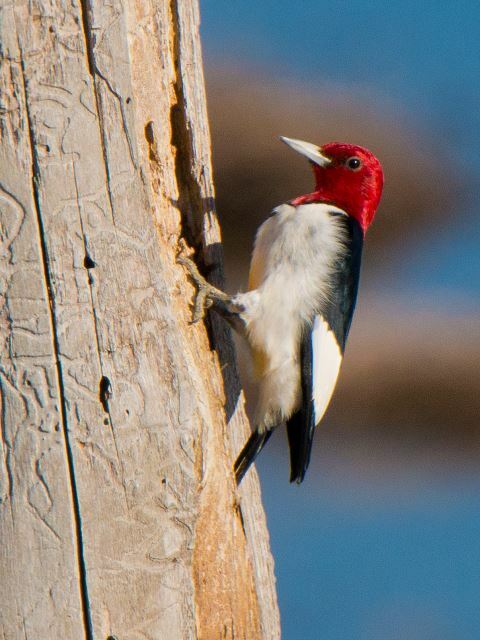 Generally males are the more colorful gender in the bird world. In our area the kingfisher is an exception. Males lack the rust-colored plumage.